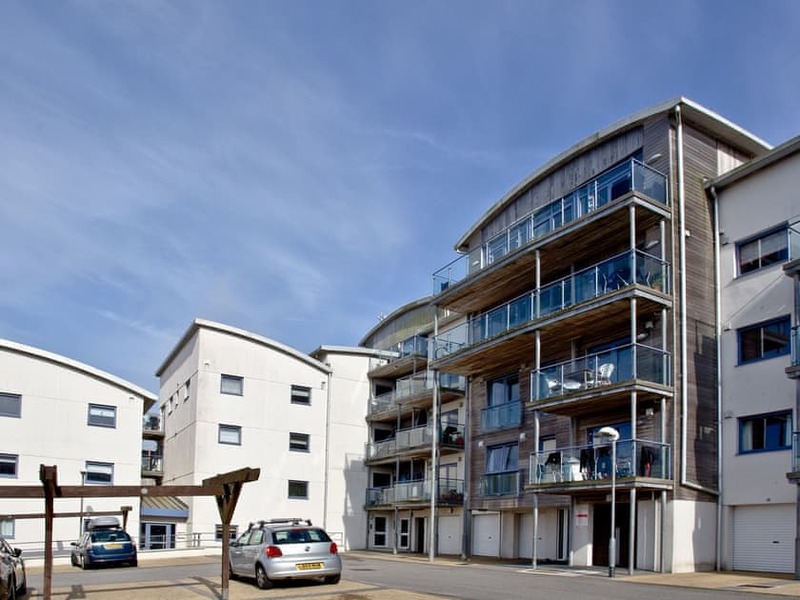 A first floor apartment overlooking the spectacular Fistral Beach. 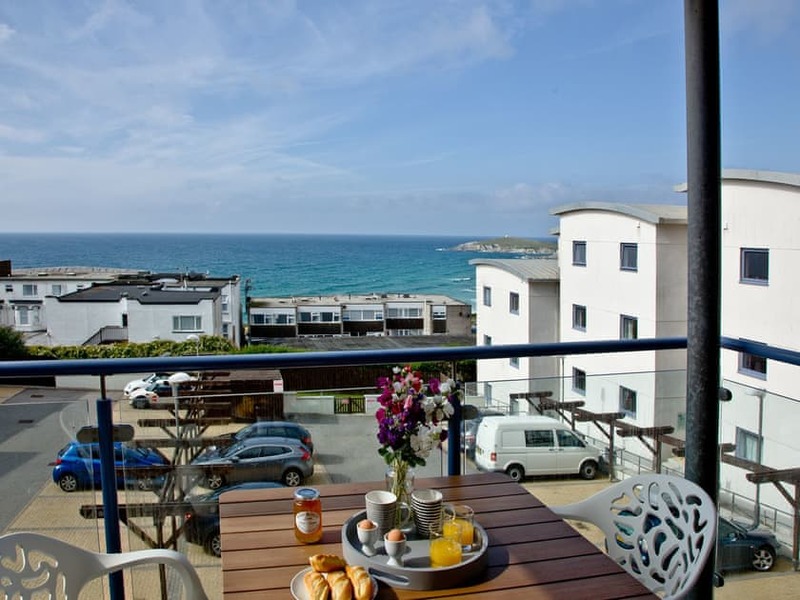 With breathtaking views across Fistral Beach and out to sea, Fistral Lookout’s the kind of home from home that makes every day of your break feel extra special. 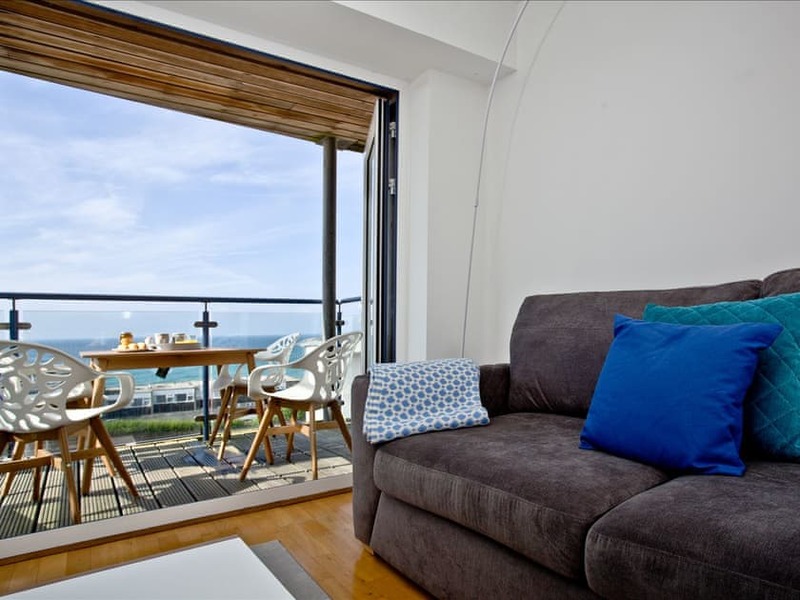 From the contemporary design of the open plan living, kitchen and dining space, to the fact that you can step out onto your balcony to enjoy the setting, this apartment’s perfect for that family break. 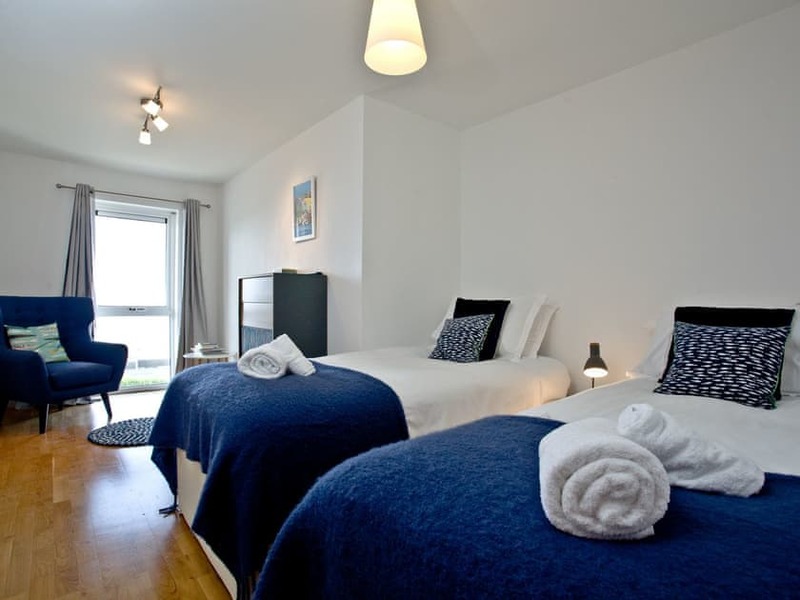 Back inside, you’ll find two bright, spacious bedrooms that make welcoming sights after those busy days on the beach. 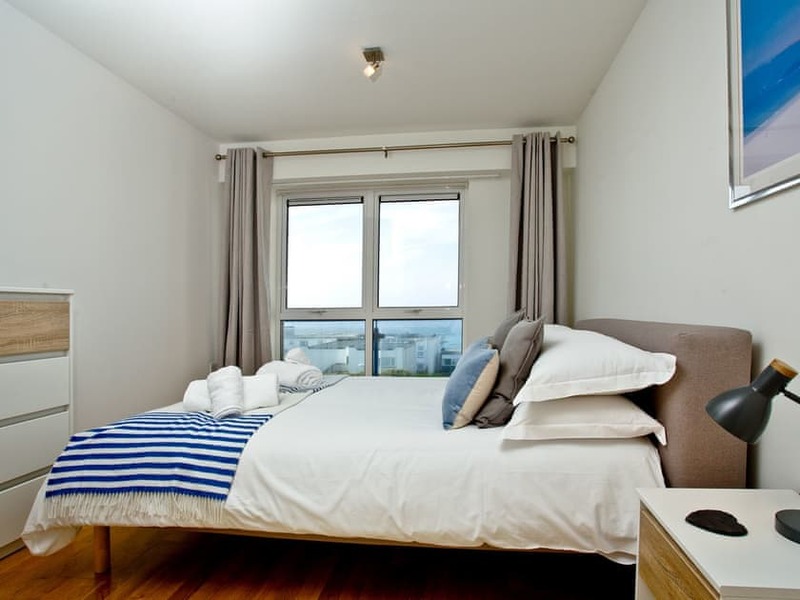 The master bedroom offers touches of indulgence in the form of a double bed and an en-suite bathroom, and the twin bedroom’s just right for the kids. 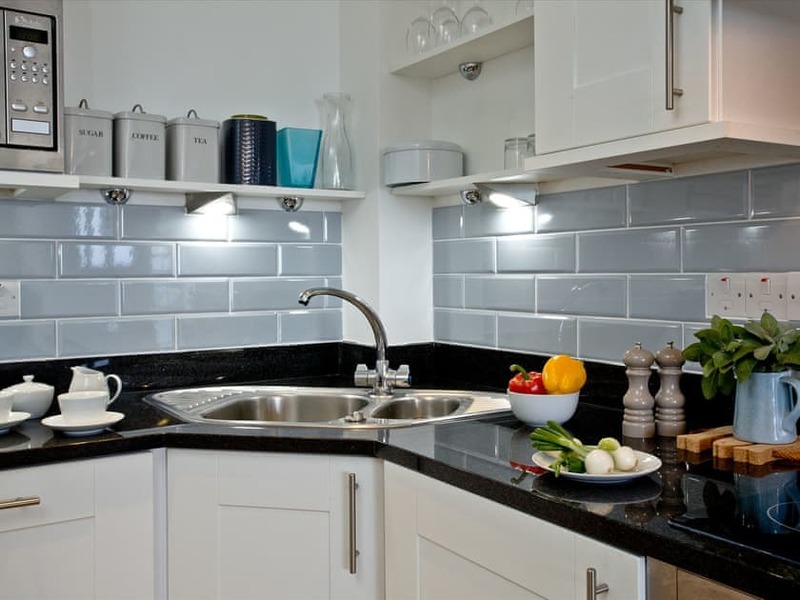 Ocean 1 is one of the most popular settings for a Newquay holiday. 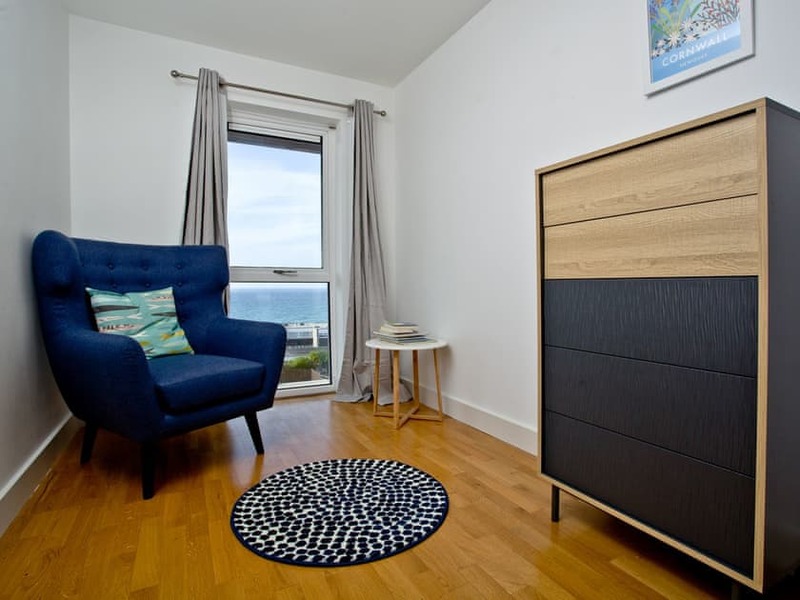 With its spectacular views over the legendary Fistral Beach, it also offers a secure storage area for your boards, wetsuits and with lift access to all floors. So, if you’re keen to slow down to the Cornish pace of life and enjoy those beautiful Newquay beaches, it’s just the spot. Have stayed in another apartment in ocean1 several times so know what to expect. The apartment is a good size and well equipped but I didn’t think the supplies were sufficient. 2 dishwasher tablets, no washing up liquid and nothing to clean crockery with.The view from the balcony was nice. 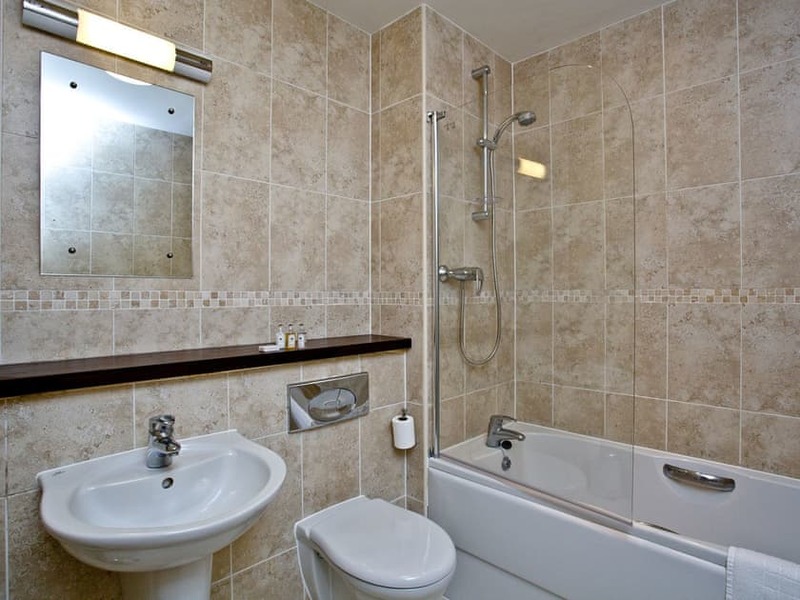 Excellent place to stay, lovely apartment, amazing view of the beach, would highly recommend it. The main issue was that the handle on one of the main bedroom windows was broken. It was hanging on with one screw, rather than two. This caused security concerns, but as we were on the first floor tried not to worry about it too much. A handy man came round, and he took the handles off to switch them over, but this didn't work, so it was therefore left even looser. We were told that a part had to be ordered and this wouldn't be repaired whilst we were there. Because the window was ajar, as we couldn't close it properly, we were woken very early with seagulls, etc, so myself and my husband had to sleep in the second, twin room. Also, when I went to get in the shower in the main bedroom, I tried to close the doors, but couldn't close one as it was hanging off. When I contacted the management company, they said they knew about this and a part was on order. The rubber seal of the washing machine was covered in black mould. I tried to clean it and also bought machine cleaner to run through before using, but bits of mould were coming out in the wash and the seal became full of water. Needs a really deep clean or replaced. There were a few niggly things, like bedroom drawers having lint and hair, one of the drawer fronts came off in your hand, carpet under coffee table not hoovered and a couple of men's pants in the airing cupboard. We've been going to Cornwall for about 30 years, sometimes 4 times a year and this is the first time that there hasn't been a welcome package, other that a few tea bags, coffee, sugar and long life milk sachets, scattered on a tray. Just seemed a bit mean, as it's always nice to arrive from a long drive and see that you've at least got a pint of fresh milk, a cream tea, a bottle of local juice or wine. It's the just a nice welcoming touch that we've become accustomed to over the years. If their hadn't been the issue with the window and the machine, then we wouldn't have even mentioned the niggly things, as these are easily dealt. Only scored comfort and equipment 3 due to window and shower door and washing. Furniture and beds were comfortable. The rest of the property was really clean and it was nice having the balcony and having a sea view. 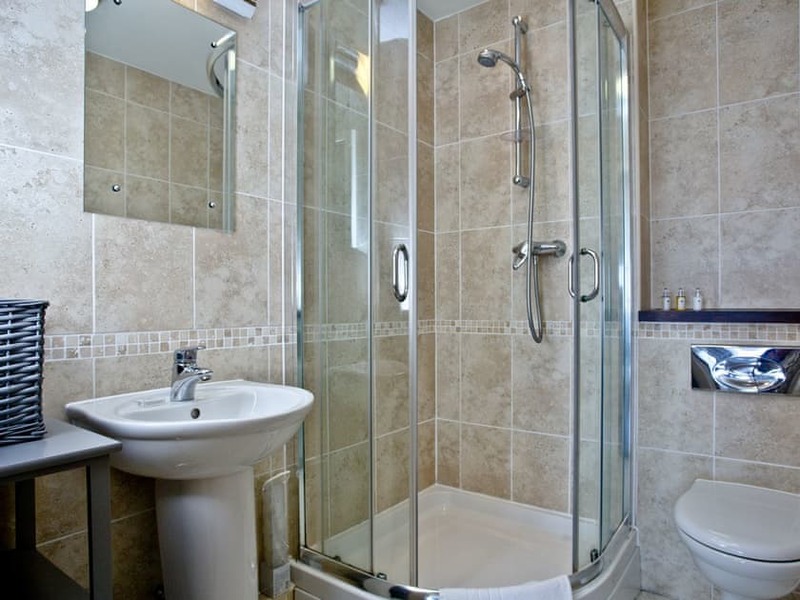 If the issues above have been addressed, then I wouldn't hesitate recommending the property. The only reason we wouldn't stay here again (other than those listed above), is that it wasn't the best sea view, because of the buildings in front and we normally stay further down the coast. If we hadn't had the issues, then would have said value for money. ...And the reason for the overall low score is the window issue caused quite a lot of worry and noise, so couldn't use the main bedroom with en-suite, plus the really mouldy washing machine, so the other niggly things just added to this. I think it's a shame that we weren't even offered a discount for the inconvenience, etc. Perfect holiday home. Close to beach and town. And we were lucky with the weather. 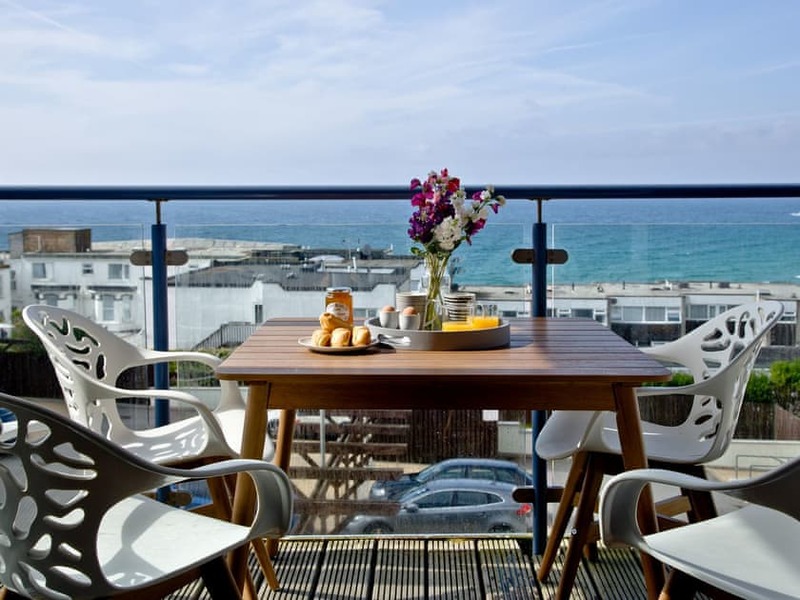 With one on the finest vantage points in sunny Newquay, Ocean 1 is home to a collection of stylish apartments perched right on the Pentire Headland. 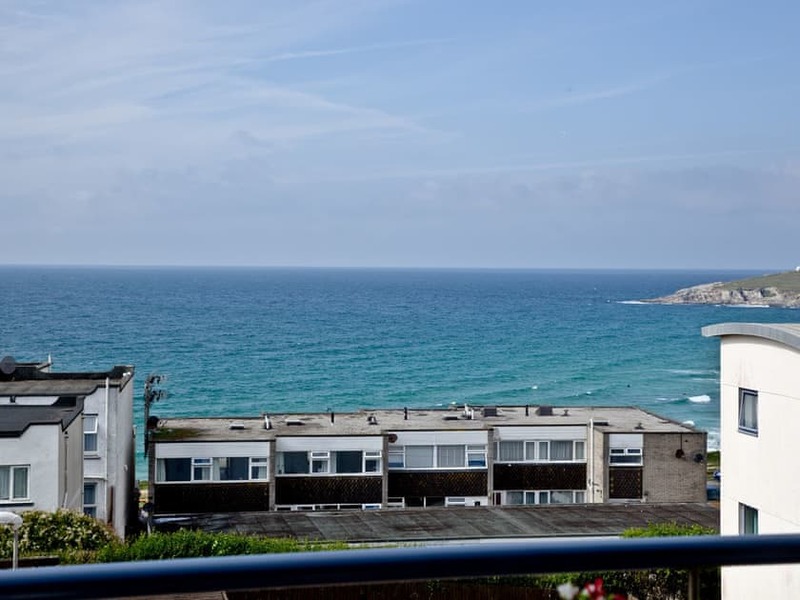 Within easy reach of the world-famous surf spot Fistral Beach and Newquay’s town centre, this development is so Newquay it even has a storage area for wetsuits and surf boards. When was the last time you sat and watched the sun set over a glass of something cold? Or rolled out of bed to check the surf before making your way down to the waves? 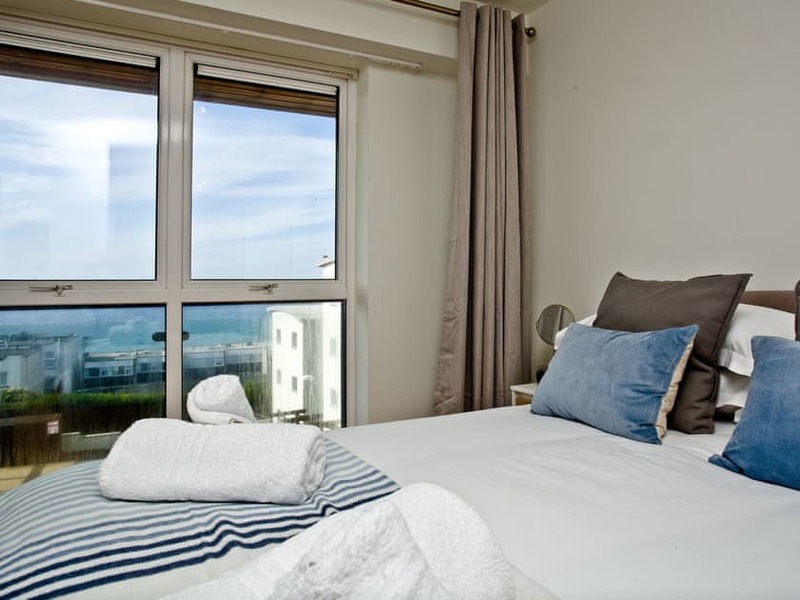 With open plan designs and private balconies, the apartments showcase their sweeping sea views to perfection, so you can sit back, relax and take in your surroundings. 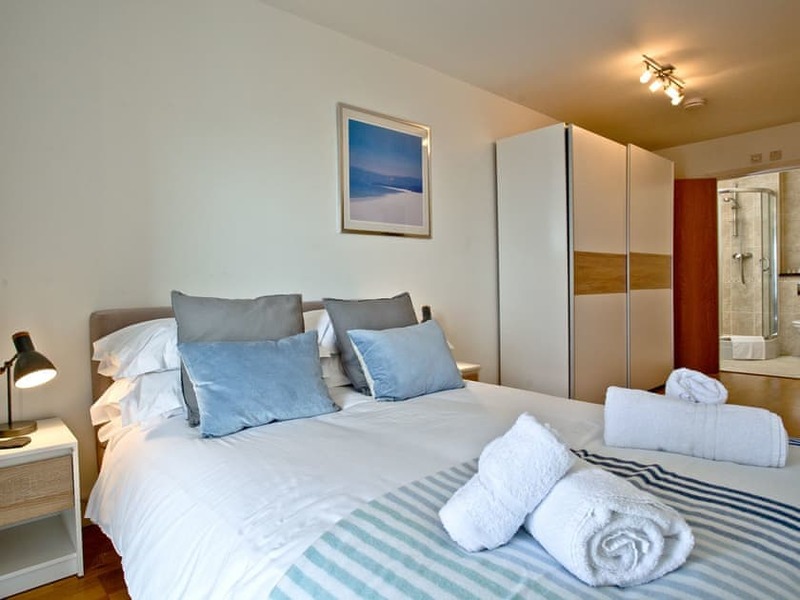 Look out for features that add a little luxury when you browse Ocean 1’s apartments, as some include kingsize four poster beds you won’t want to leave, Nintendo consoles to keep the kids entertained after a long day on the beach and stylish en-suite bathrooms so you won’t have to wait to rinse the sand from your feet! 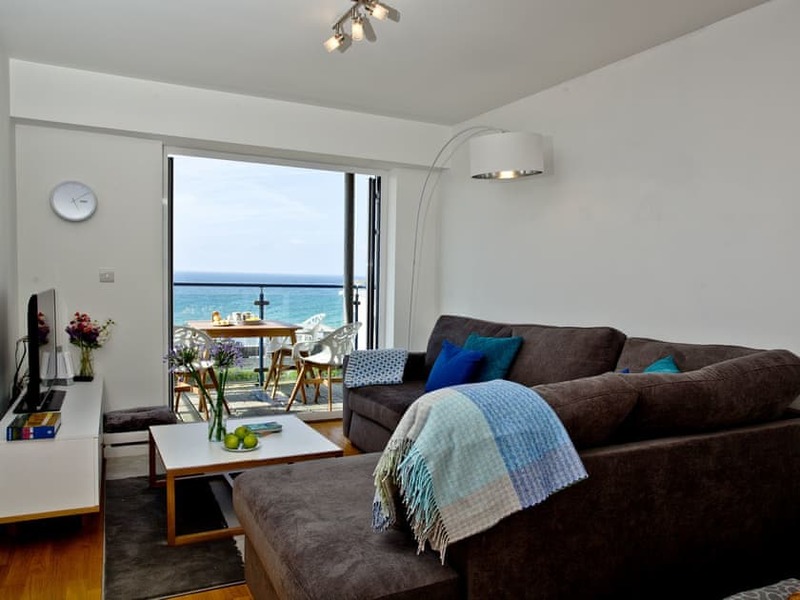 Life at Ocean 1 is all about enjoying time out in one of Cornwall’s most stunning settings, and there’s an apartment to suit every kind of guest. Great property, good communication throughout the whole process (confirming when payments will be taken, arriving at the property and giving us the codes to get in, also a mobile number was provided for emergancys) good welcome pack giving us taxi numbers and places to eat. Go surfing on Fistral beach and hire equipment from a local surf shop and look for any night life festivals around. 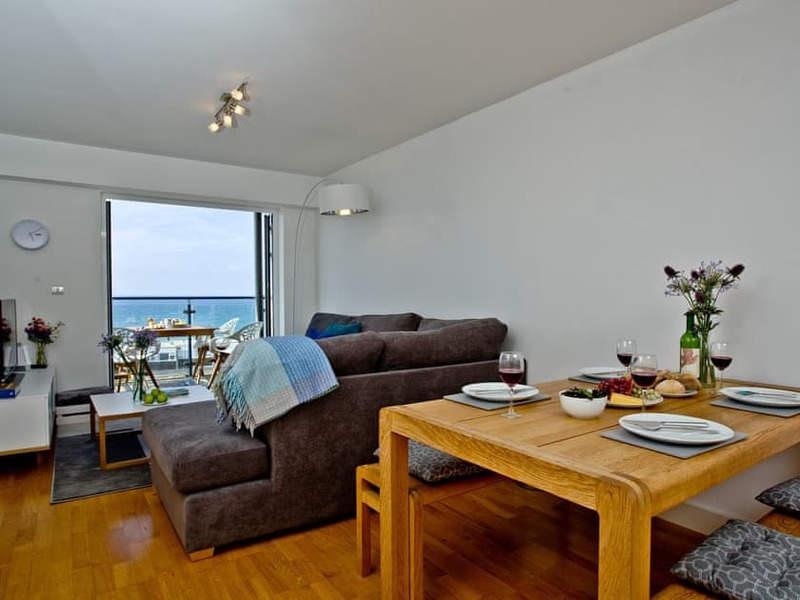 Luxury self catering accommodation overlooking Fistral Beach. 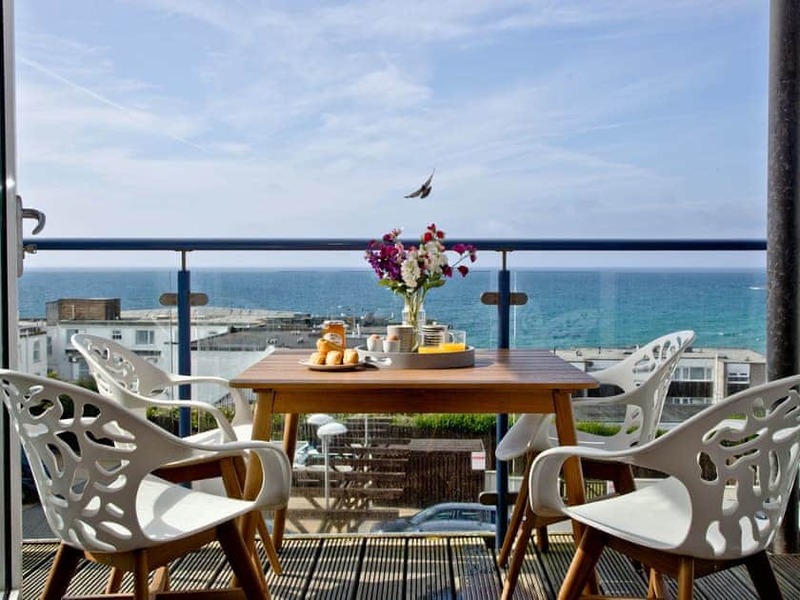 A stylish second floor apartment with fabulous views over Fistral Beach. 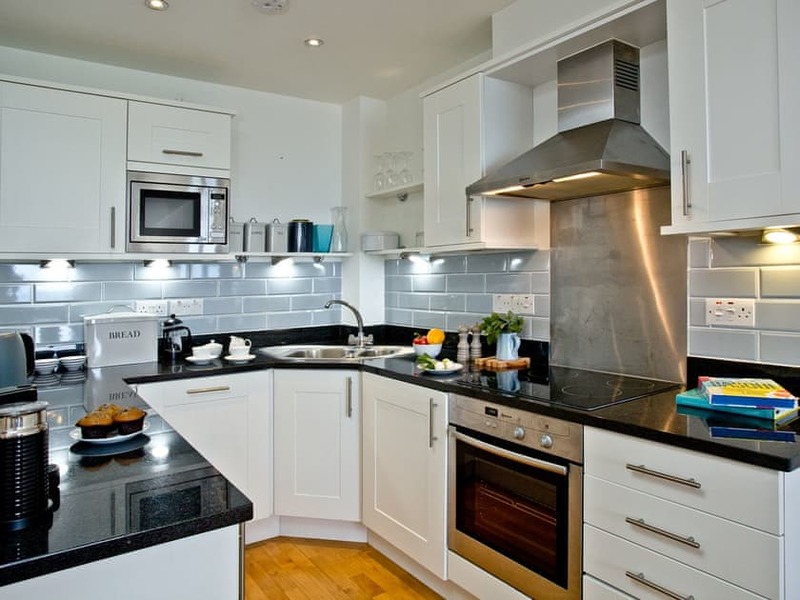 A luxury apartment overlooking the world famous Fistral Beach.